You are listening to Trinity Employment’s, a player matchmaker Staffing agency Tulsa podcast starring your host and the cofounder of Trinity Employment Specialists, Cory Minter. Hi, welcome to the a player matchmakers. We’re always looking to find ways to add value to job seekers and employers. This particular podcast is specifically geared towards employees seeking the best job that they can find, uh, for their skillset. Um, and so this topic is 10 tips to improve interviewing performance. 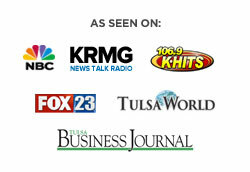 Um, you can see all of our new content on our website@trinityemployment.com if you’ll go up to the career center and go to Staffing agency Tulsa podcasts, you will see that we have roughly, probably after today over 30 podcasts available for you. If you find this content helpful or if you know of someone that’s beginning to look for a job, listen, we would be honored and grateful for you to share our information with with them. We are not trying to make money with this, um, weird specifically and intentionally wanting to add value to the people that we serve. And most of those people that we serve are our employees. So anyway, we hope that we’ve added value here. Um, we would love, we think that this podcast is going to be very helpful for people because I think a lot of people just, they, it’s the simple things that really get them in trouble in an interview. And I’ve got, I’ve got a pretty great story about one of my first interviews that will, we’ll share a little bit later, but let’s go ahead and get really into this. Um, what are some statistics to lead us off real quick, Ethan? Yeah, sure. We’ve talked about stats like this, about interviews lots of times, but, um, jobvite, 2017 recruiting funnel benchmark reports and that’s a long thing, but that, that’s a very long, so jobvite, apparently every year does a recruiting funnel benchmark report. But this was from their 2017 report. They said the average conversion rate from interview to offer with 17.78% in 2016 that translates to about five interviews per offer. Um, and again, some of our earlier stats from glass door sang that only 2% of applicants get into a job, get in for an interview. Um, really, you don’t have a lot of wiggle room once you get into an interview to make mistakes. You know, it’s pretty cutthroat. Yeah. You know, if you don’t have really, uh, if you’re not connected well in a community, I really think it’s gotta be hard because you’re going into this big dark black hole of an, of resume cesspool every time you go to a larger company and submit your resume and you just got to cross your fingers and hope that you get found. And if you didn’t know of anyone to really try to help you to get in the door or did to bring your resume up to the top, it’d be really hard. Sure. I mean, that’s the only way I got a job here really. Again, before this I was managing a local snow cone check chain, you know, and, and, uh, I was manager over over the chain, but I hadn’t had any corporate experience and it was my boss there that knows you and had recommended me that same kind of idea. It’s hard to jump in if you don’t know people. Um, and so when you get the chance to get in there for an interview, whether you know people are not, it’s super important that you, you take that chance and do the best he can with it. Um, the average length of an interview process in the u s and other stat here, this by glass door in 2015 and they said the average interview length process and the u s was 22.9 days. And uh, that is a long process. I can’t tell you how many times I have interviewed someone and I said, okay, I’ll send you a resume over to the companies that we’re staffing for. And maybe an hour and a half later they say, have you heard anything? And then they called me the next morning, have you heard anything? And then they interview and they leave. And they called me on the way home from the interview. Have you heard anything? I say, well, hold on. It, it takes a little bit of time sometimes even if you’re impatient for it. Yeah, I gotta be honest with you. I really identify with that. hates the word millennial. No, no, no. You just use it as an excuse to blame everybody on their accounts. It’s deep down and it’s coming out rooted, man. It hurts. All right, so any, any more stats? I don’t know. I don’t know if I’ve got stats. I got a great quote though that I really enjoy by Arthur Rache. I think that’s how you pronounce his last name.S H E author Arthur Rache. He says, one important key to success is self confidence and an important key to self confidence is preparation. Uh, we’re going to go over a lot of things to help you kind of get rid of the bad habits in your interview process. Um, but we talk about it so often. One of the keys to interviewing well is self confidence. Well, haven’t, haven’t confidence is going to uh, uh, it. Preparation is going to give you confidence that confidence is going to give you power and, and you need all of those things. You know, I remember when I very first went to my very first interview, very first, very first, it’s, this is what, 1958 or almost I was at, Oh, you. And, um, and we, uh, listen, I had no idea what an interview was. I’ve never been set in a situation where I got asked questions and I show up to this thing. I’m just a student. And I’m trying to get a student job and it’s like a part time runner. Sure. All right. I am met with a four person panel. Oh Wow. And they start firing questions at me and this was for an $8 an hour job for, you know, like I said, seriously, it was a runner to go run a mail back and forth. And I was like, I left. They’re going to, what in the world is this? Like you want to talk about unprepared? Yeah. You know, might my granddad used to tell me, uh, you know, never allow yourself to be in a situation in life where you look like a deer in headlights, you know? And that’s exactly the way I looked. I was like, Whoa, as big. Yeah. Mouth Open. What are you saying to me and what I bet. And you didn’t get the job right. Oh, so they did well, they didn’t even call me back, you know, and I was sitting there spinning my thumb, thumbs waiting. Waiting eagerly by the phone. Yeah. Well, listen, uh, do you have anything else before we jump into the election? I know, let’s see. I’m sure we will have a lot of stories during these action items for sure. Well, hopefully people haven’t checked out to our banters so far. The, the very first thing is to make sure and dress for the job or company. The idea behind that, my suggestion to people is, is be intentional with the way that you dress and make sure and dress just a little bit above what you think that person is going to be dressed like. Um, if you’re working with a staffing firm, I think you can ask the recruiter, it’s important. Ask the recruiter, what should I wear to this a job interview. But you want to be intentional with it. Um, there’s not a, there’s not too many months that go by where someone doesn’t come in here. Um, yeah, it’s still not bad. I was, I didn’t think it was that bad. Oh, there’s one, there’s I just kind of story you’re saying, I thought you, you’re about to say, yeah, go ahead and knock it out. And we had this girl come in and again I interview everyone from bank tellers, two accountants, two receptionists to CNC, machinist to welders. If I have a welder who comes in and he’s wearing ripped jeans and hoodie covered in grease, that’s okay. You know that’s the job. He probably just got off a shift from, and I’m not bothered by that, but I had a girl come in who was interviewing for like a front office administrative assistant position, like a receptionist position. She came in wearing a pantsuit but also on her head. I don’t know if you’ve seen them kids where I’m all the time. It’s like a, it’s like a beanie kind of, but it looks like an animal and like really? Yeah, there’s like these long tails that go down from it as well. Is this a millennial thing? And I’m like, and it’s like this furry beanie that looks like an animal and this girl walked in wearing one. It was like rainbow pattern all over it and we think, okay, strange. She’s like wearing a hat, she’ll take it off. You know, when she gets inside. Now, man, she wore that thing the entire interview just like it was the most normal hat and on the planet. She was committed. She was like, how do we bring this up? Please don’t ever do that again. You know? But yes. Um, then the next thing is, is to make sure and listen, um, when you, when you’re nervous, I think one of the hardest things for me to do is really listen, even in this pod, even in this podcast, you know, you have to look at what you’re going to say next. And it’s really hard to really listen to what you’re saying. I’m sure you have the same problem. You’re trying to find out what, what you’re going to add value next. It’s the same thing in an Staffing agency Tulsa interview, I think. And so make sure that you’re listening so that you don’t go into a direction that your interviewer didn’t intend for you to with the question. And then as a result, think that you really weren’t astute to know what was going on. So I make sure and listen to the next thing is, is you need to make sure and not talk too much. Um, one, one thing I would always advise people to is that one of the biggest gifts sometimes you can do is ask good questions and allow that person to talk. And if they do begin to talk, don’t, don’t cut them off. Let them talk. You’ll learn a lot if you’ll listen and, um, and make sure no, dominate the conversation. Make sure that it seems like a natural exchange and that’ll be harder than it will for others. But it’s really important. No, that’s true. My Dad used to say that it’s a lot harder to learn when you’re talking a than when you’re listening and um, and those two things go well together. Listen and don’t talk too much. They really compliment each other. The only thing I would say about that is to be careful though, to still talk. A few things are more, um, kind of a buzzkill in an interview for me. Then when I start to ask questions and the candidate just has nothing to say. I like a one word answer and like, oh my gosh, come on man. So you have to ask probing questions. Sure, exactly. And then it feels like I’m just pulling teeth trying to get answers. And so obviously there’s a good balance there. And part of that balance comes from what we talked about earlier, having confidence and that confidence comes from preparation. You know, even if it comes from googling interview questions before your interview and standing in the mirror and kind of, how would I answer this kind of question? Right. That’s really helpful to find that balance of not talking too much and, but still talking a little bit. The next thing is, is to not be too familiar. I’ve, I’ve only had this happen a couple of times and actually it was people that were friends of mine that referred people over to me and they came in. I’m just expecting, um, immediate acceptance on this job. And uh, and they really came in really just trying to be my friend more than anything. And listen, I don’t want to sound above anyone else. Um, but it, it really hurt the opportunity to really learn about the person because we were talking more about our commonalities and it was led by them. It didn’t matter. Every time I would ask a question, it would always come back to something that was probably comfortable for them. But make sure that you, even if you know the person or if it’s a referral, um, you know, network is probably how you’re going to get your job, but make sure that you don’t come in as automatically familiar and make sure and treat it like any other interview and really give people some of your skillsets in industry and descriptions and always be yourself. Obviously we, you know, we want you to be yourself in an interview. I remember when I was intervene with you Cory and with the trinity team. Um, I remember I slipped in it just like a joke or two here and there just because that’s kind of my personality. Um, but at the same time I was still really true to being respectful when you asked me questions, answering them professionally. And when someone, you know, when you are Cassie, our manager would say something kind of lighthearted. I, I’d be able to kind of juggle a bit with you guys, but be able to reign it back in. And that’s really important. You know, don’t be too familiar, doesn’t mean be a robot and have no personality. It just means, you know, tone it down. Just really pay attention, pay attention to the nonverbal cues that they’re giving you. Um, the next thing is, is, uh, to not be too cop, not to be too cocky. And so if you’ve had like a huge win, you got to just be, use the right kind of restraint. You need to be proactive. It makes, be sure to let them know that you accomplished something great. But man, when you go in and, and you just use, uh, you know, I don’t know. I mean, you know what I’m talking about where it’s hard to describe, but you’re like, oh man, I could not be around you. Yeah, you have people come in and they automatically think, ah, all right, are you working for me yet? You know, like, you know what, this in the bag or almost, I have a good way to describe it is when you, when you meet someone and everything is someone else’s fault and everything that they did was so perfect. And when someone goes into that, you know that there is an imbalance of reality in that person’s mind most likely. And so it really turns off most interviewers. Sure. Or when I asked the question, you know, what are some of your weaknesses? What are some things that you struggle with and be like, I don’t really have any. Yeah. Okay. Yeah, that’s great. Um, the next thing is, uh, take care to answer the questions. Um, something that frustrates me sometimes and it will anyone, is when you ask one question and they go into a complete different traction very quickly and, and all of a sudden you’re talking about zebras and you’re like, what? See, I asked you about your work history. Like how did we get to zebras and the zoo? Um, so you’ve got to make sure that you stay on point with what they’re asking. Um, the next thing is ask questions. Ask Good questions, prepare for those questions. You can Google it if you need to, but know what you’re doing and be intentional with that. You’re not the only person getting interviewed there. It’s a really great opportunity you to learn about the job and see if it’s the right fit for you. Um, so I think that’s really important. Obviously I’m rushing here to try to get us out on time, but um, but don’t appear desperate as well. That’s a good one. Yeah. When people, when people come in and especially, I hate this, what are you looking for? You know, what’s your dream dream job? Oh, I’ll just take whatever. Yeah. Ah, man. Aye. Aye. Aye. I get really nervous then. Yeah. Yeah. Go ahead. No, there’s a big difference between, man, I’ll take anything and I’m open to anything. You know, I have people all the time. What are you looking for him? You know, I’m kinda open anything open to trying something new that is way different than I’ve had people answer me before. You know, what are you looking for man? I’m looking for it and the kind of job that gives me a paycheck. That’s what I mean. I just need some sense, you know, like, and that just doesn’t, comes across. It doesn’t come across as Staffing agency Tulsa confident. It doesn’t come across as professional and yeah. Yeah. And I hate that for someone who the hierarchy of needs has really hit them. Yeah. And they really truly need just a paycheck. But as an, as an interviewee, make sure that you recognize that the one thing that the employer is looking for is what’s in it for them. And if they are just seeing themselves as a, a way, an avenue to get a paycheck and that is it and there’s no purpose behind it, um, they’ll get really nervous that the, it’ll be a bad investment. And so, um, the last thing is, um, and this is the, um, is just work on your answers. You know, you can Google and download just some basic general interviewing questions. And begin to work on those and perfect those answers and get really good at it. You do that and you’re going to begin to appear more Staffing agency Tulsa professional and, um, you can utilize each interview as a really great exercise in course, to getting better. That’s what we want to do is hopefully help you get better at this. And I hope that we’ve done that today. Listen, if trinity can help you in any way with your job search, please let us know. We would love to do that. Um, we’d love to be a great resource for you. Please visit us online@trinityemployment.com or you can give us a call directly here to our office at nine one eight six two two, two five, eight, eight.